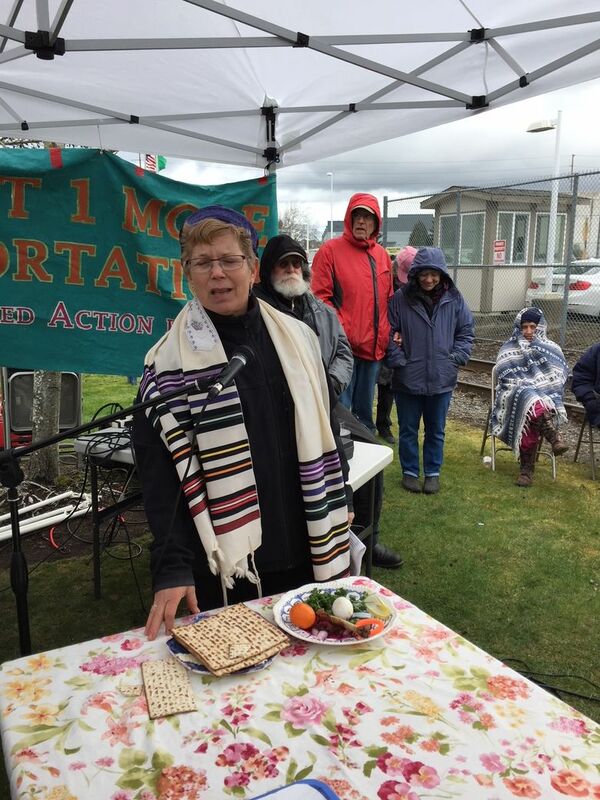 While holding seder outside the Northwest Detention Center in Tacoma, Rabbi Zari M. Weiss found parallels between the suffering of her forebears and immigrants under the Trump administration. Recently, Jews around the world celebrated the holiday of Passover, which commemorates the experience of our ancient ancestors who, according to our people’s sacred myth, spent more than 400 years in slavery. Our tradition teaches, “In every generation, a person must see him- or herself as if he or she had gone forth from Egypt.” To help us feel their suffering, we partake of special foods that viscerally give us a taste of their experience: We dip parsley into salty water, symbolically tasting their sweat and tears; we bite into bitter herbs such as horseradish, recalling their bitter enslavement. Throughout the holiday we do not eat bread but matzo. Matzo is dry, flat bread that symbolizes the bread of poverty, a tasteless food for those who have little to eat. It also symbolizes the bread of freedom, which had no time to rise as the Israelites hastily fled toward freedom. This year, the second day of Passover coincided with Easter. On that day, more than 100 people gathered together outside the barbed-wire fences of the Northwest Detention Center in Tacoma. There, facing the de-facto prison, we held a Seder. 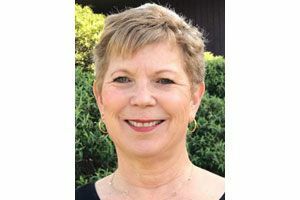 Rabbi Zari M. Weiss has been the rabbi of Kol HaNeshamah in West Seattle for eight years. As we moved through our symbolic ritual, a steady stream of people walked in and out of the detention center. Most were from Mexico, Central or South America. Children clung to parents who either were themselves facing deportation or fighting the deportation of loved ones. There was nothing symbolic about our Seder for these immigrants; on the contrary, it reflected their everyday reality. It was heartbreaking to hear from one woman whose husband’s deportation hearing is in a few weeks. As she spoke to our group, the woman’s young daughter cried. She knew that her father would be sent away, and — if her family wanted to remain together — they would have to follow, leaving behind the only life she had ever known. Without a doubt, there are real economic and political concerns that must guide a nation’s, any nation’s, immigration policy. But with every tweet or announcement from the White House, I’ve wondered: What fear is driving this president and his administration to impose such harsh and cruel policies and practices? Deporting those who have no criminal histories and separating them from their families? Sending the National Guard to the border? What kind of hardheartedness do these policies reflect? “A new king arose over Egypt who did not know Joseph. And he said to his people, ‘Look, the Israelite people are much too numerous for us. Let us deal shrewdly with them, so that they may not increase; otherwise, in the event of war they may join our enemies in fighting against us and rise from the ground.’ ” (Ex. 1:8-10). This story, of a hardhearted Pharaoh who dealt cruelly with those who are vulnerable, has rung true throughout the centuries. In the end, the hardhearted Pharaoh is defeated; the longing for freedom triumphs. What is there to gain from dealing harshly with those who only long for freedom and a better life, for themselves and their children? Wouldn’t any of us want the same? Passover is ultimately a holiday of hope. With the eternal truths of this story still reverberating in our minds and hearts, we call on President Donald Trump to demonstrate a different kind of leadership than the hardheartedness he has thus far demonstrated. We call on him to treat others with the dignity and respect that he himself would want to be treated, if he or his own children were ever to find themselves in similar circumstances. We call on him to model graciousness and generosity of spirit to those who are tired and poor, to those who have been drawn to our shores and our borders by that mighty woman with a torch, who for generations has been a beacon of hope to those who — just like my own forebears and ultimately his as well — simply had the misfortune to be born in other lands.